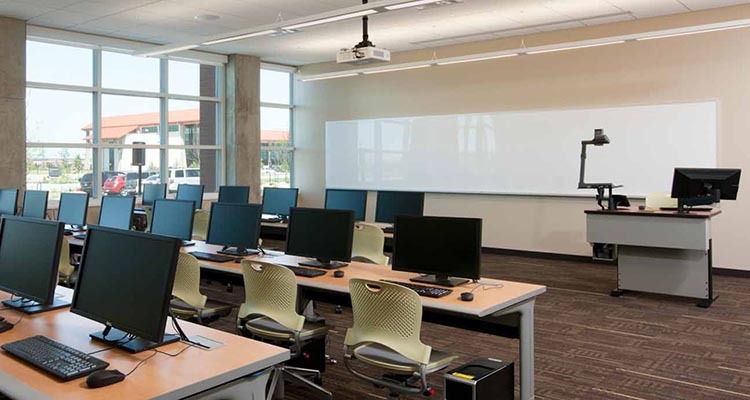 With more than two decades of industry experience, we’ve seen how the right design decisions can transform a school’s capabilities. Whether we’re working with a large university or a small elementary school, our design team’s objective is to create learning environments that encourage motivation and creativity in students. Our team is skilled at creating tailored solutions. Each of our projects is considered a partnership between the client and design team. Whether we’re developing new design schemes or working within existing design standards, we guide our clients in selecting materials and plans that are long-lasting and flexible. HMN works with each of our clients to develop design plans based on their current and future needs. Our customized approach has helped us create long-standing relationships with many of our educational clients. Before drawing a single line, we explore who the users are and how each space will be utilized. This helps our team meet the goals of the facility. Instead of a one-size-fits-all approach, we develop inspired ideas unique to each client. Drawing on lessons from exceptional organizations and cutting-edge research, we’ve helped clients achieve significant improvements in learning, while sustaining their values and culture.